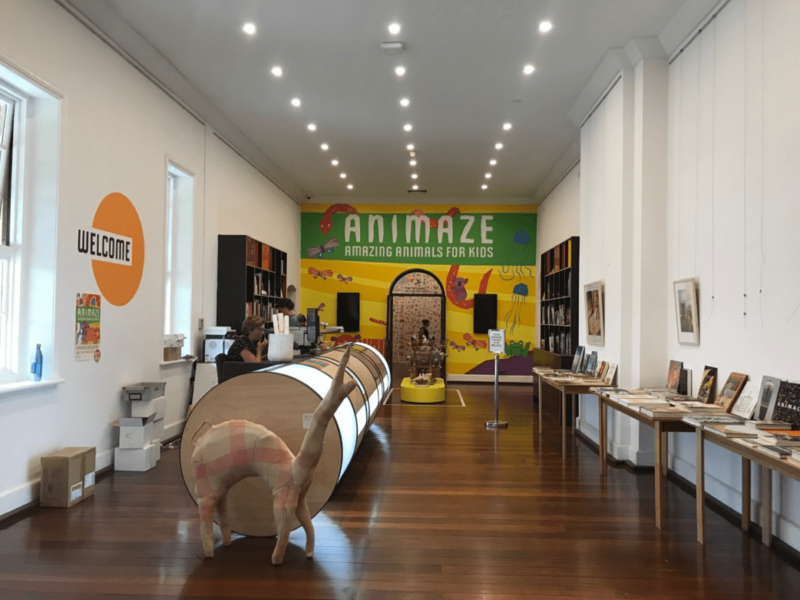 Animaze: Amazing Animals for Kids is a free contemporary art exhibition centred around animals of all kinds, designed just for kids, now running at the Fremantle Arts Centre. 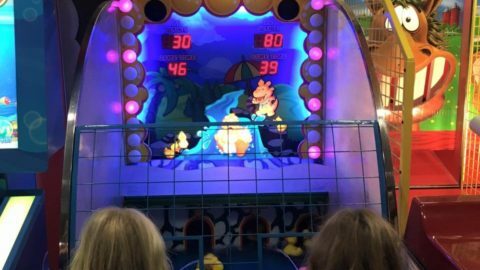 The exhibition was put together with over 40 artists, and includes interactive displays that children can watch, play with and explore. 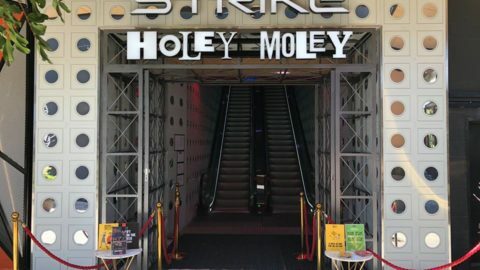 The first pieces we encountered were in the foyer. 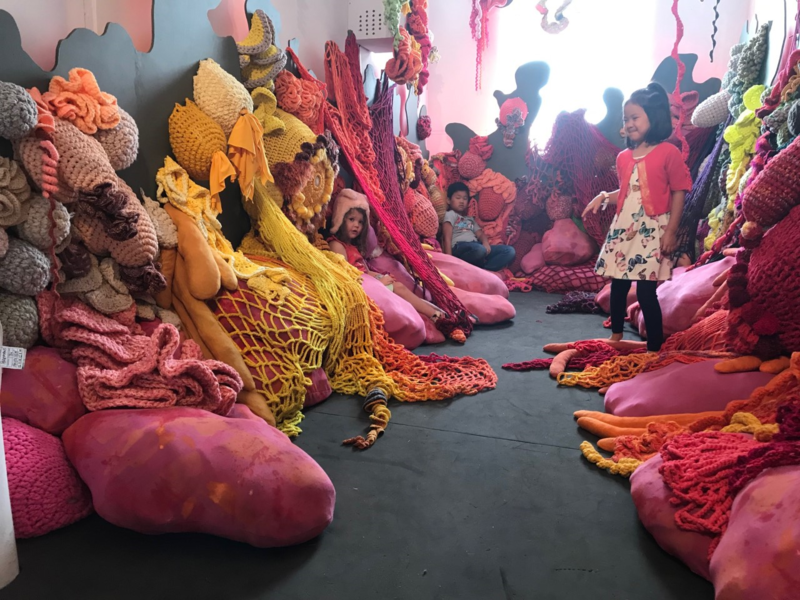 We were greeted by an animal sewn out of recycled blankets, and another piece made from recycled knick-knacks and chairs, that looked like a little world of its own. 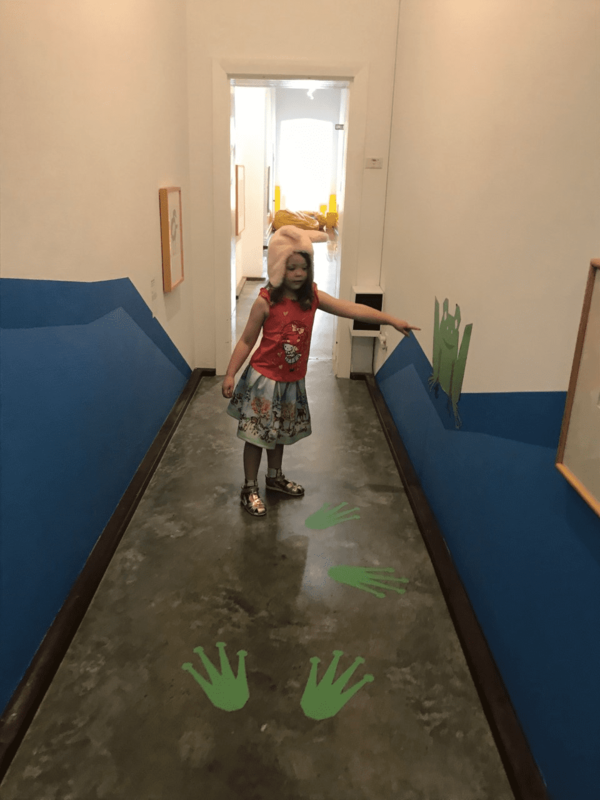 Following the animal footprints on the floor, we headed in to explore the galleries. 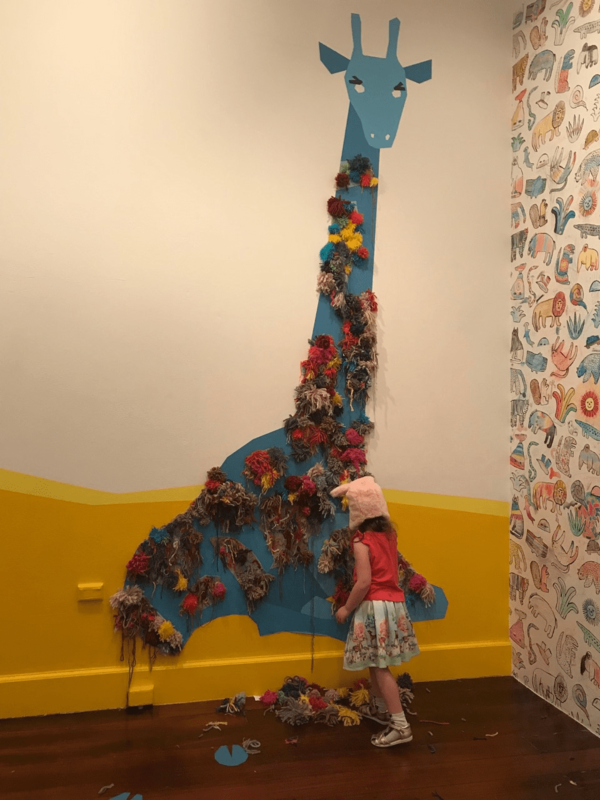 In the first gallery, we came across an interactive giraffe artwork on the wall, where kids can move around his spots on sticky patches spread across his body. 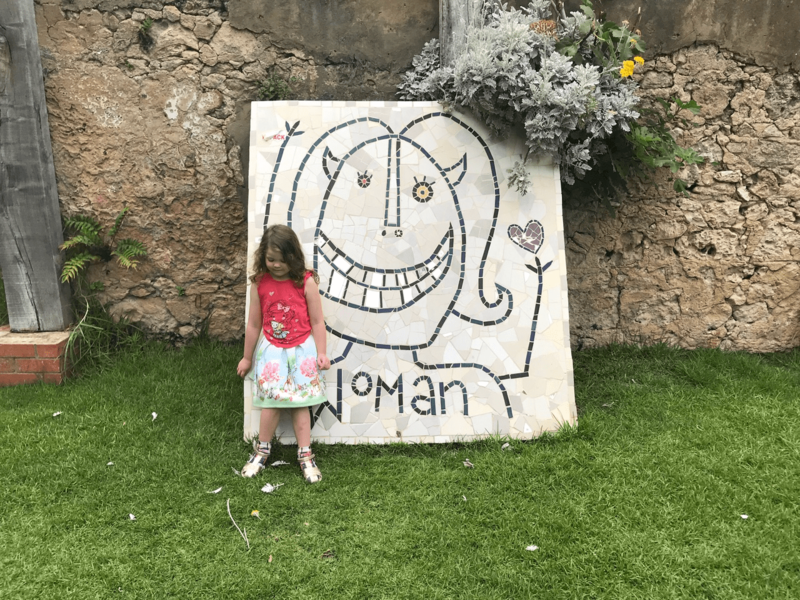 Miss 4.5 loved this one, as did other kids we saw. The high up neck spots were a challenge! Other exhibits in this room include more woollen tapestry work in bright colours, which are a delight to the senses. I couldn’t resist touching the fluffiness. 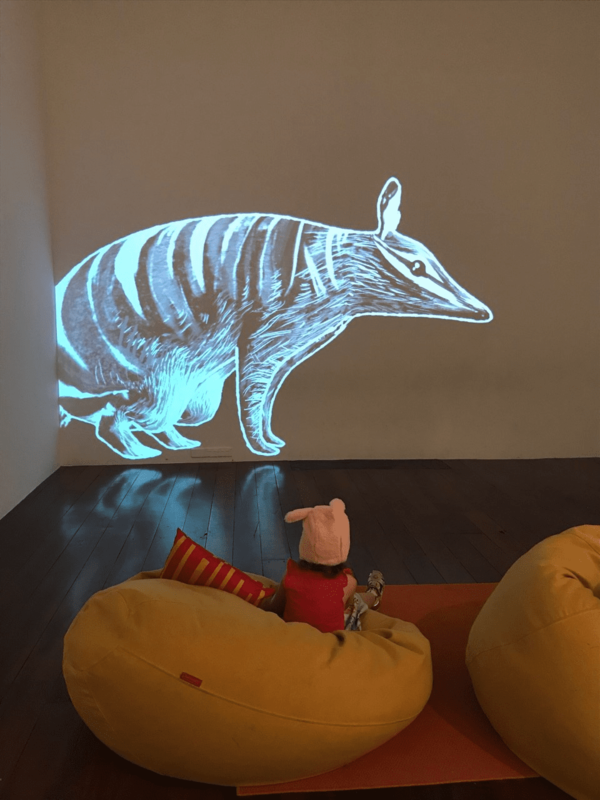 The adjoining gallery features a projector show on the wall of a family of numbats and some more soft artwork mounted on the wall and sitting on a ledge. 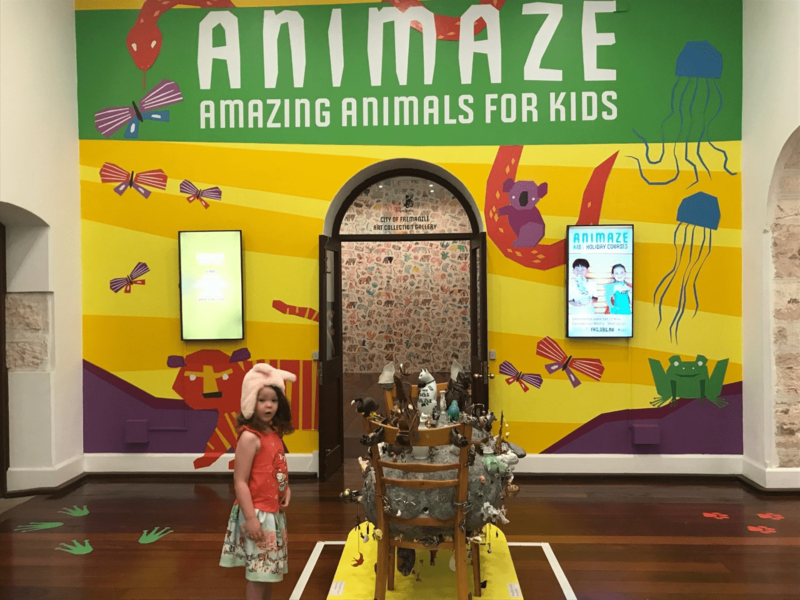 All the kids seemed to love these cute Aussie animals, as well as enjoying touching and moving around the stuffed croc, lobster and crab. The numbats are on repeat, and families are welcome to chill out in the beanbags provided on the floor for as long as they’d like. Heading back to the foyer, we headed down a hallway to the left. This features small framed pieces on the walls. A speaker system fills the hallway with bird calls, which had Miss 4.5 hunting for where the noise from coming from to begin with. 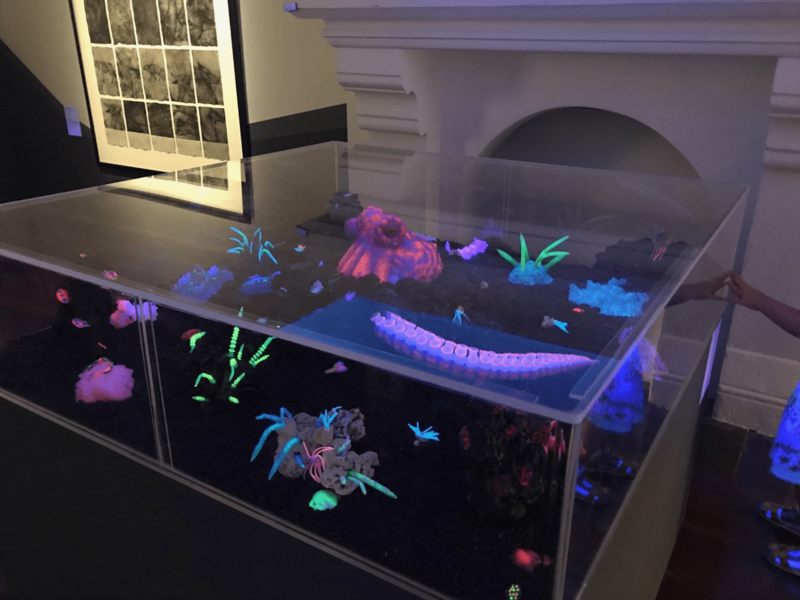 We followed the hallway to the end, and found a darkened gallery with a black light display of undersea creatures. Miss 4.5 was thrilled it also lit up her clothes with a blue glow. 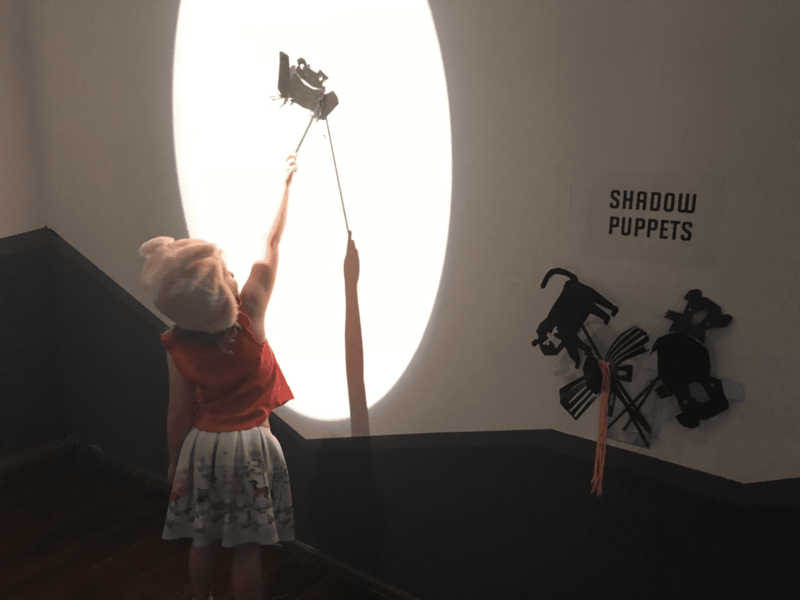 The back wall of this room has an interactive shadow puppet area on the wall where kids can experiment. The puppets are a mixture of Australian animals, water creatures and a butterfly. As well as static art on the wall, a screen with headphones tells visitors how the artist created their amazing dragon-like pieces of art. 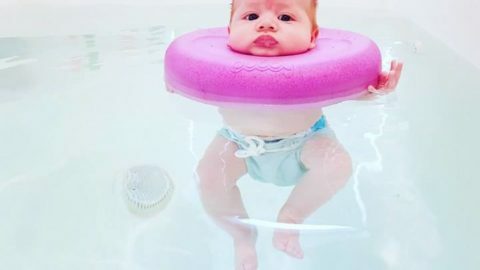 This is sure to inspire a new generation of digital artists. 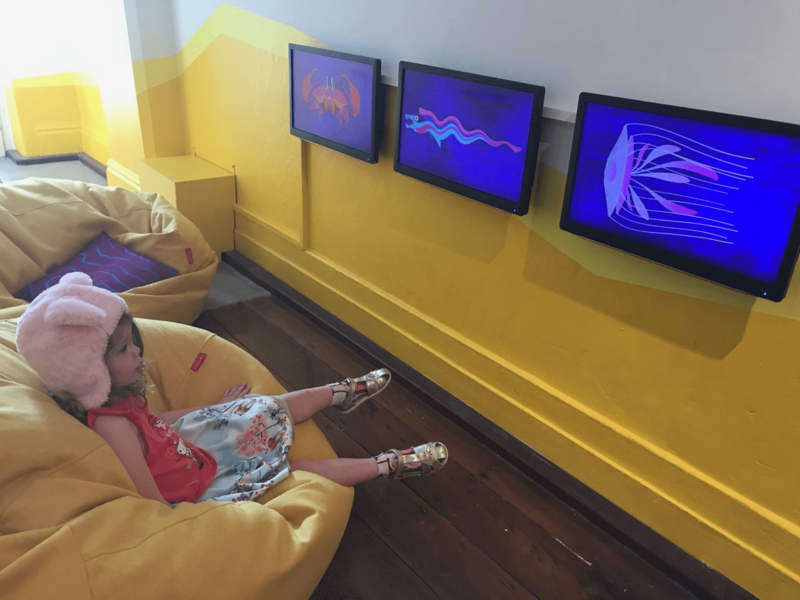 Outside the darkened gallery is another chill-out area with beanbags on the floor and a visual display in a sea theme across three screens mounted on the wall. 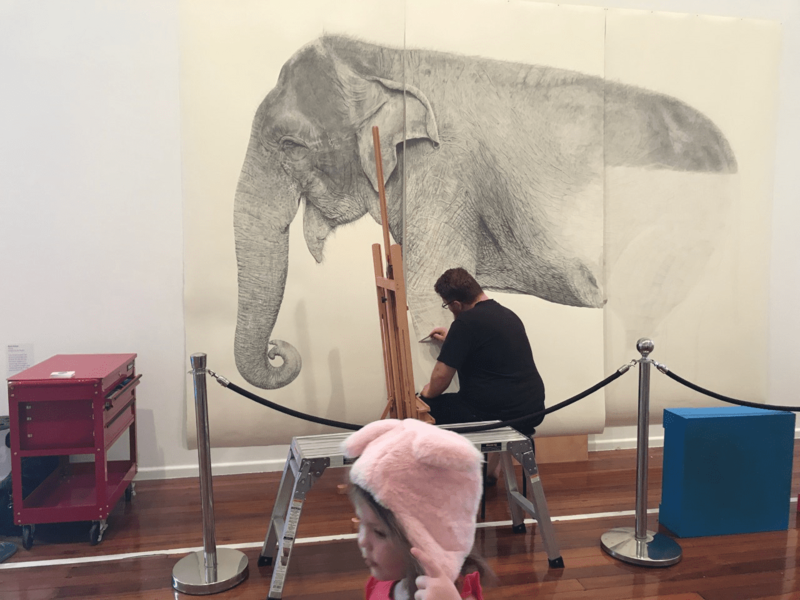 In an adjacent large gallery we found artist, Ross Potter, working on a huge life-size drawing of Tricia the Elephant from Perth Zoo. 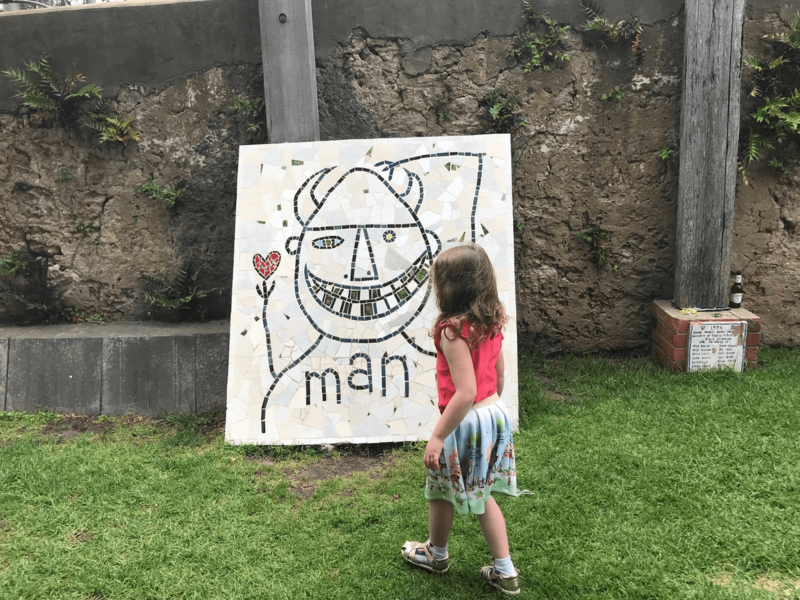 This is a great opportunity for kids to talk to a real artist and see him at work. Ross mainly works every Saturday and Sunday from 10am to 12pm throughout the exhibition, though we were lucky enough to catch him in the gallery on a Wednesday. 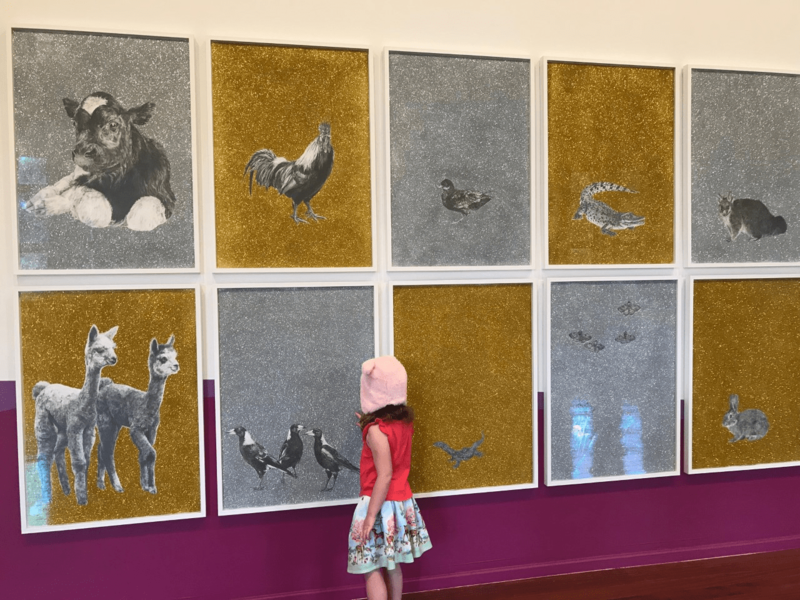 The gallery is also full of other works, including an eerily realistic looking cat and dog, glitter surrounding graphite sketches, “Trash Birds” which are made from recycled cardboard, and many more. There is another corner with beanbags if another chill out is needed, as well as bench seating around one of the displays which is a great spot to sit and watch Ross Potter at work. Next door to this we found another tactile display kids will love – it was certainly a huge hit during our visit, with Miss 4.5 going back probably three or four times! 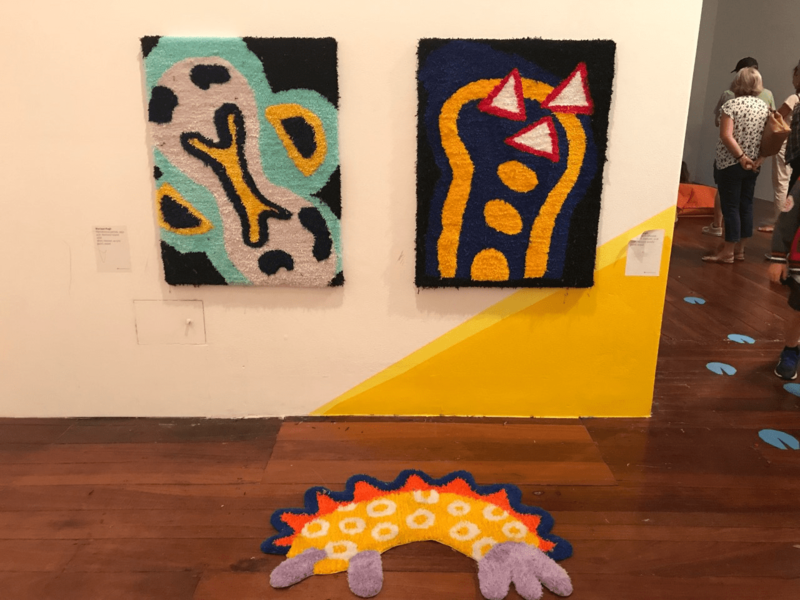 A pair of talented artists have created a crochet coral reef and hanging jellyfish in a range of vibrant colours and textures. 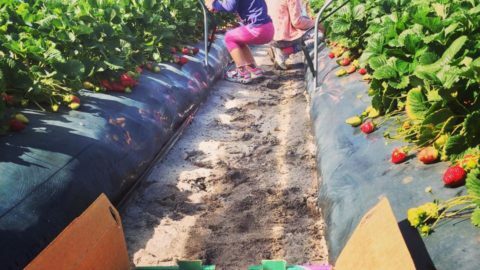 Children are invited to take off their shoes and get up close to the display. The sign accompanying the display says, “Our coral reefs are beautiful but very fragile. Please be gentle with this coral reef too.” So obviously they don’t encourage kids to climb and wrestle all over it or swing from the jellyfish tentacles (I warned Miss 4.5 a few times to be more gentle! 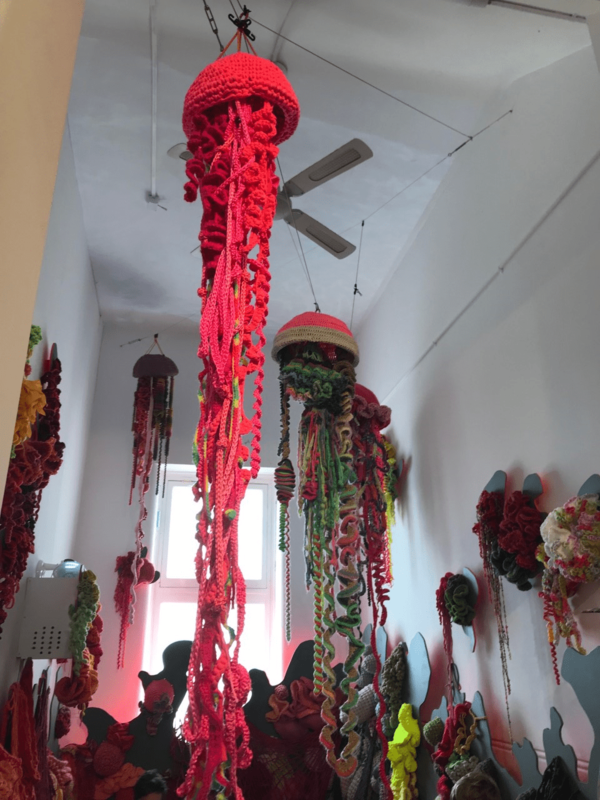 ), but they can certainly touch the different textures, feel the springy tentacles, sit in the crocheted nets and nestle into the coral. It’s a very colourful and peaceful space. In the corridor connecting the coral reef and the large gallery, there is a huge graphite piece depicting hundreds of animals. 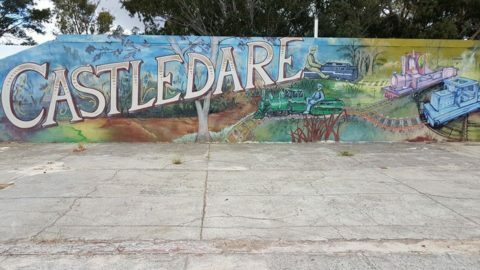 This stretches the length of the wall and they’re stunningly realistic. The wall opposite challenges the viewer to find particular animals within the work. There’s bench seating here, so again you can chill out for a bit and take it all in. All up we probably spent two hours wandering through and going back to see bits and pieces over again. Our first trip through, Miss 4.5 was in a rush to see it all, but we took our time and enjoyed each bit a little more the second and third time around. 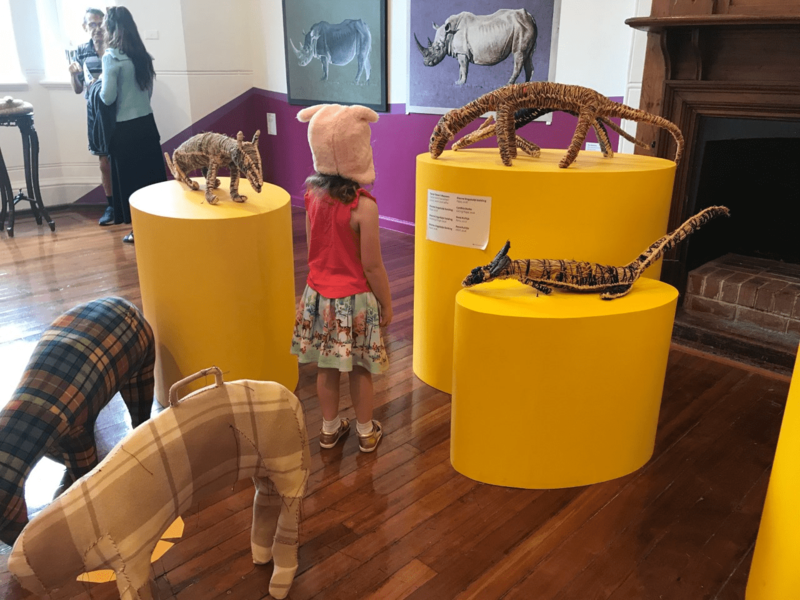 The exhibition is pram and stroller friendly, with only one small set of steps at the end near the coral reef and a ramp leading into the giraffe and numbat display at the beginning. 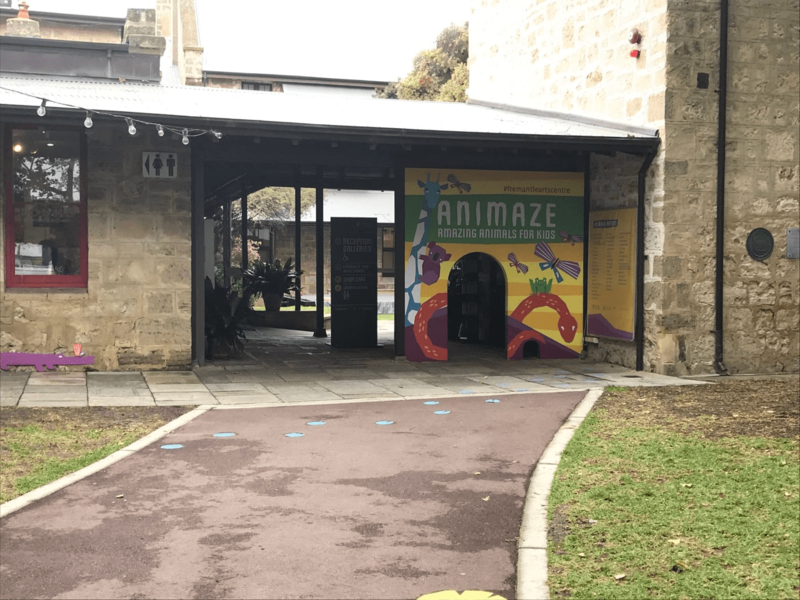 The hallways are small in this heritage listed building though, and larger wheelchairs may possibly have issues have access. 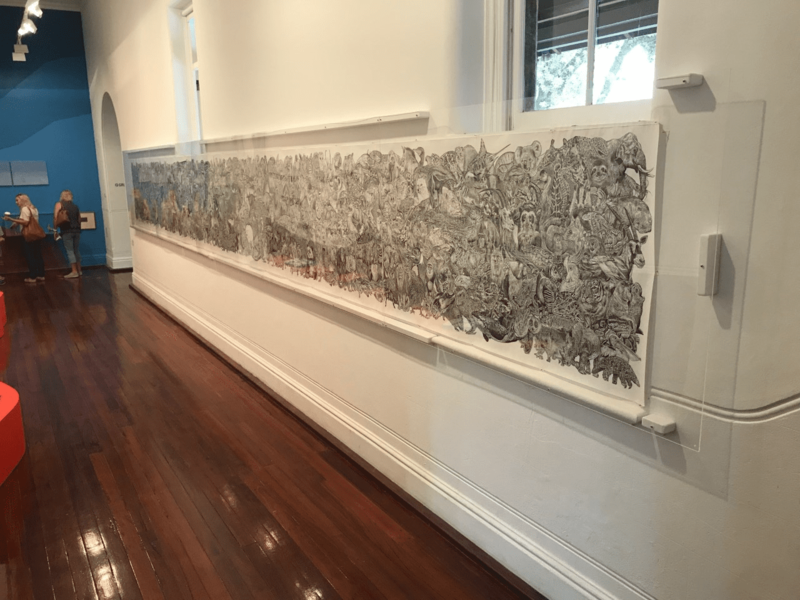 I’d suggest contacting the Fremantle Arts Centre to check before going. 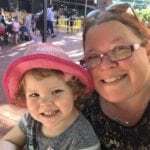 Stroller tours are offered every Tuesday at 10.30am for mums and bubs, with free coffee available for mums who join the tour. Kids craft activities are also available on Saturday 12 and 19 January in the front garden from 10am to 1pm. These are also free, all ages are invited to join in and kids can take their creations home. 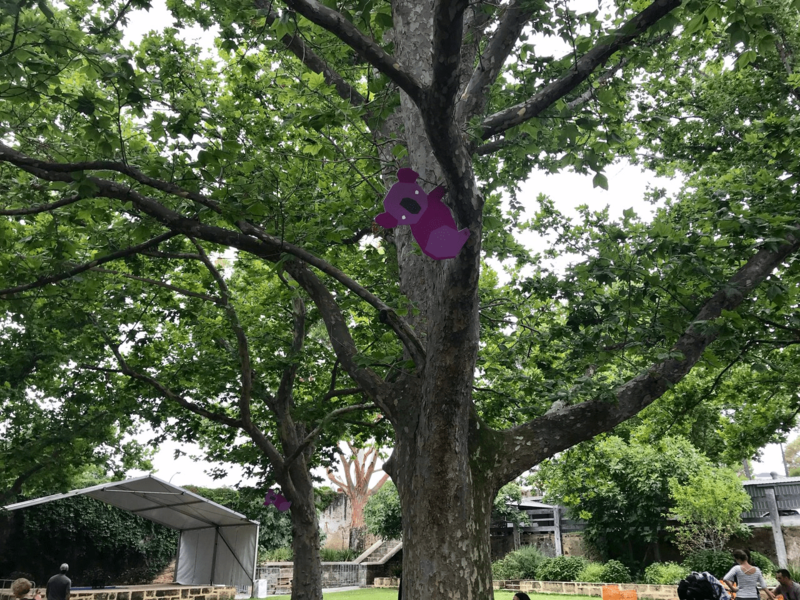 There are even some animals to spot outside in the garden area, with koalas in the trees and a purple crocodile along the wall. If you find yourself in need of refreshments, there is a café, Canvas, available in the grounds outside the exhibition. This was quite busy the day we went, and I’d recommend grabbing a table if one is available as table service is offered. Then you won’t have to worry about the kids bolting off outside while waiting for your takeaway coffee if you’re on your own like I was. 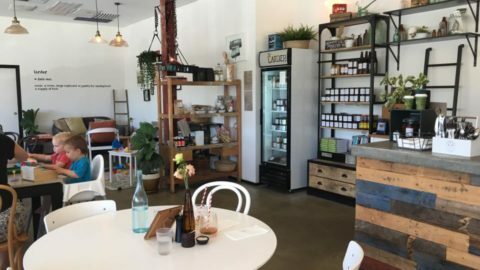 Even if you do have a bit of a wait, I can confirm the coffee is worth it! 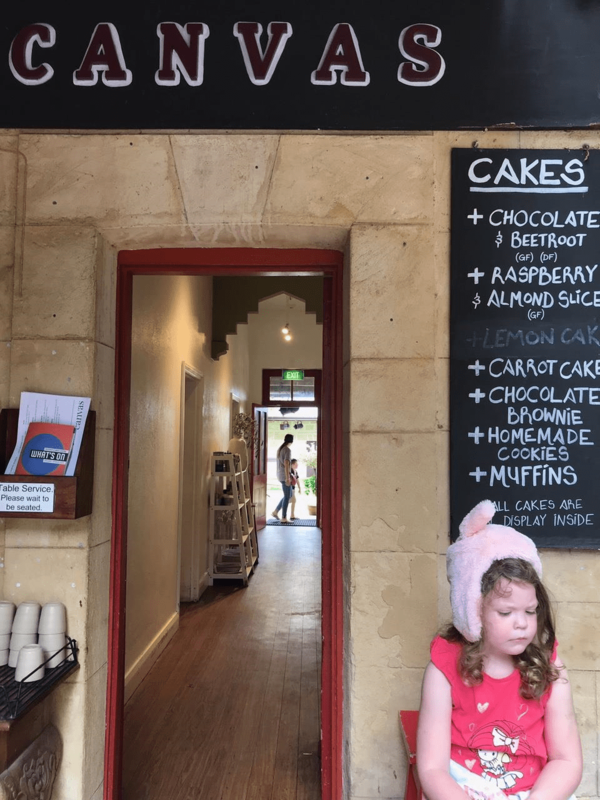 Miss 4.5 said the chocolate beetroot cake was yummy, too. There are toilets available at the rear of the café, including a baby change and wheelchair accessible bathroom. There’s even some more artwork to be admired outside! 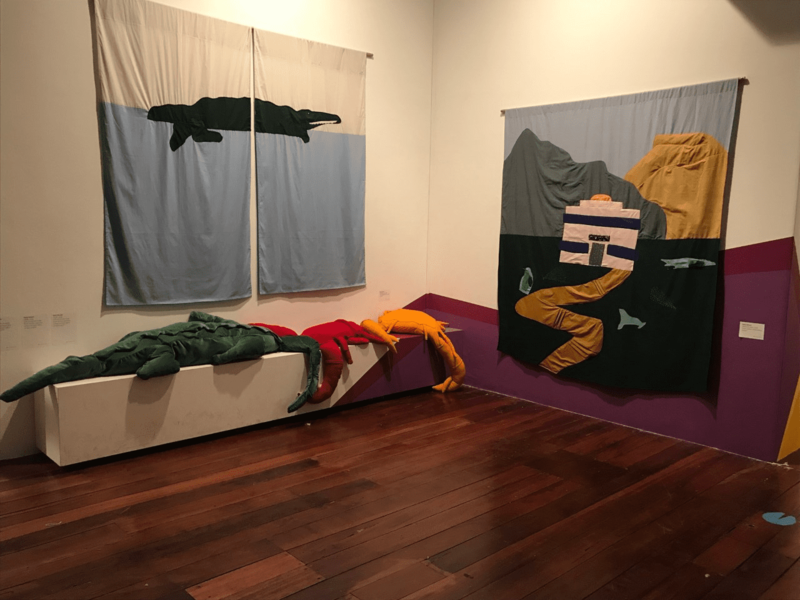 Located at Fremantle Arts Centre, 1 Finnerty Street, Fremantle. 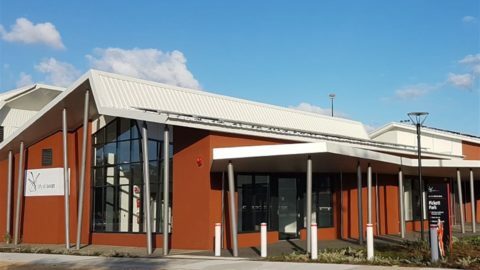 Open 10am to 5pm 7 days a week, running now until 23 January 2019.